Tsingine was shot by police after she threatened officers with a weapon, police said. 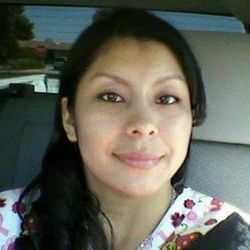 An unidentified source told Native News Online, Tsingine had a pair of scissors in her hand and had purchased some beer at the local Circle K. Tsingine was shot five times by Winslow Police Officer Austin Shipley. Family members say they have a video and a differing view. “I had to wait until 4:00 a.m. before the police told me the person killed was Loreal,” Villaescusa told Native News Online. Tsingine’s death is being investigated by Arizona Department of Public Safety, which is standard operating procedure for a police department the size of Winlow’s. According to Villaescusa, a private citizen videotaped the deadly shooting with his smartphone. “I watched the video. She never raised those scissors towards the officer. It has been reported she stole a case of beer from the Circle K. I did not see any beer in the video,” says Villaescusa. Villaescusa says the video has been sent to law enforcement. The private citizen does not want publicity. Raul Garcia, spokesman for the Arizona Department of Public Safety told Native News Online, he could not comment on whether or not there is a videotape of the deadly incident. On Wednesday, Navajo Nation President Russell Begaye called for an independent investigation into the shooting death of Tsingine by Winslow police officer Shipley, who has been placed on leave. On July 27, 2016, the Winslow police department released bodycam footage of the interaction leading up to the shooting. the actual shooting is not shown on the video. April 2016 Navajo Nation President to City of Winslow - We will sue you! The Arizona Department of Public Safety has finished its private investigation into the March 27 shooting death of Loreal Tsingine by Winslow Officer Austin Shipley. The investigative report has been turned over to the Maricopa County Attorney's Office for an independent prosecutorial review at the request of the Navajo County Attorney's office, Raul Garcia, a DPS spokesman said Friday evening. Garcia said he could not comment on any investigative findings. Attorney's Office spokeswoman Rebecca Wilder said she didn't know how long it would take for her office to complete its review. On July 1, 2016, the family of Loreal Tsingine filed a $10.5 million notice of claim against the city of Winslow. On Friday July 22, 2016, Maricopa County Attorney Bill Montgomery announced in a statement that no charges would be filed against the Winslow police officer who shot Loreal Tsingine. October 2016 Austin Shipley resigned from the Winslow Police Department on Monday, Oct. 31 after an internal investigation following his shooting to death Navajo mother, Loreal Tsingine. In late March, 2018, the Navajo Nation filed a wrongful death lawsuit in federal court against the U.S. Department of Justice, Attorney General Jeff Sessions and Arizona law enforcement officials stemming from the 2016 police shooting death of Navajo Nation member Loreal Tsingine. This petition stands in solidarity with the family of Loreal Tsingine, the Navajo Nation Council, and the entire Navajo Nation in calling for a federal investigation of Officer Shipley and the Winslow Police Department for their handling of this case.